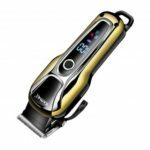 The Flyco FS375 Rechargeable Man Shaver is washable, you can use and clean it when take a shower, bringing more convenient and thorough cleaning. 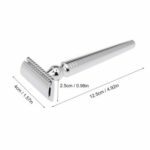 With three separate comprehensive razor blade, it can automatically adjust the contours of the face shaving, shaving more quickly and easily. 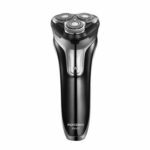 With independent floating triple-head and 2-ring blade net, it can effortlessly move in 4 directions to follow every curve of your face and neck for a more comfortable shave. 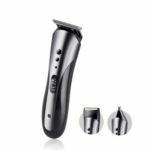 The LED display shows relevant information, such as battery status, charging status, cleaning indicator, travel lock indicator, intelligent blocking protection and intelligent anti-clip system, enabling you to get the best performance out of your shaver. Charge 1 hour for 90 minutes use. USB interface charger is compatible with 110-240 V universal voltage, perfect for travelling. With the charging stand, you can charge your device by simply putting it on the stand after shaving. Meanwhile, the included USB charger also supports shaving while charging.